This time last year here in Ireland we were in the midst of the ‘horse meat’ scandal. The question everyone was asking was how could there be horse meat in beef burgers, lasagne, etc. etc.? I just wonder do people ever stop to think how is it possible to produce a pack of 10 burgers for €2.00. Or what is the producer getting for that €2.99 chicken you’ve just bought? If you think about it at all, it just doesn’t make sense. Here’s a simple example from our own perspective….. and no, I am not going to talk pigs! Let’s talk about ducks. We buy a few every year here for the table, and some for eggs. 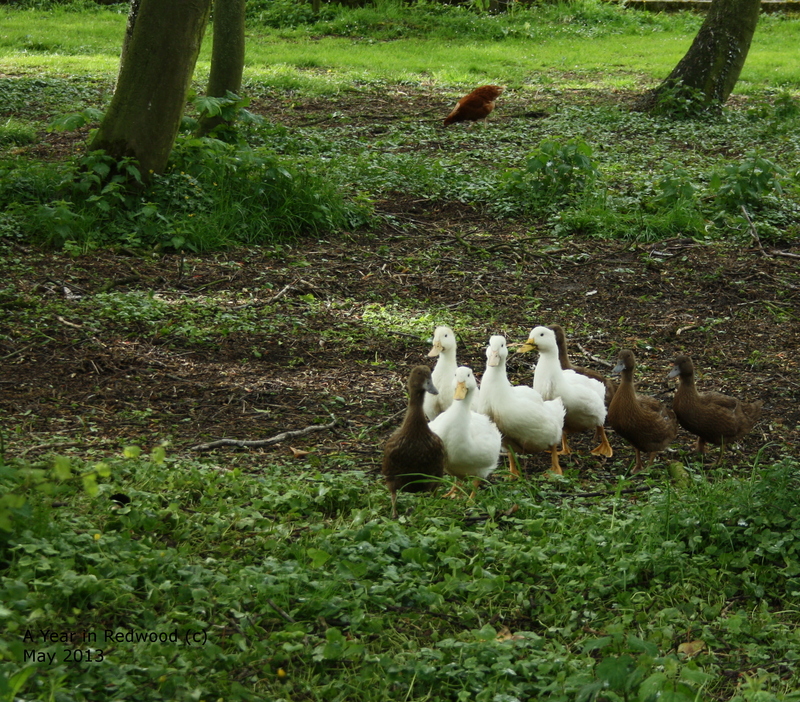 We buy our Aylesbury ducklings at about 10/12 weeks old. Aylsebury ducks are not natural mothers… they seem to drop their eggs anywhere at all, and we’ve never ever had one go broody, so it is easier to buy in. We now have a pair of Muscovy ducks who are better parents, so maybe we will not have to buy Aylsebury ducks anymore. 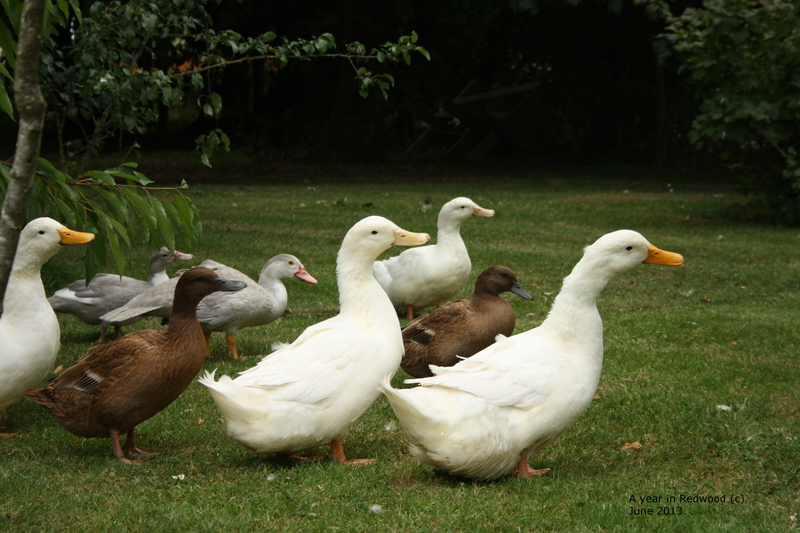 While the ducks are here in Redwood they live a happy life roaming freely about the place, enjoying the slugs and the flooded lawn, being taken care of and locked up at night away from any marauding foxes. 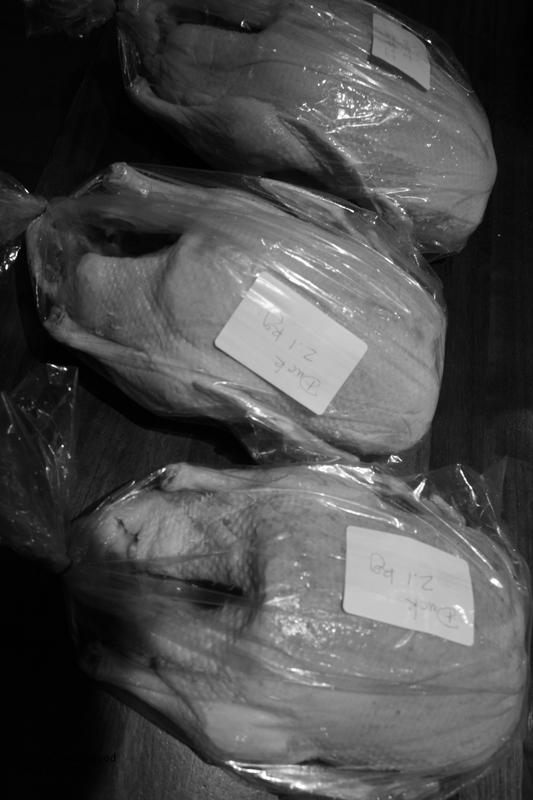 So today we will be having duck for dinner…. and this is what it cost us. If we had ducklings born here, and did the killing ourselves we could eliminate those costs, that would leave just the feed which is €13.50. 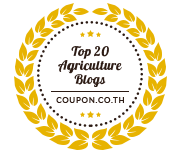 If I was to supply a supermarket at that price, and get a return on my feed costs only, (forgetting about the work I have put into minding and caring for the birds) they would then add their 50% mark-up (that I believe is standard in supermarkets)…. the duck would cost you, the customer, €27.00. So back to those burgers….. the supermarket bought that pack of 10 for a euro! What the hell could possibly be in them at that price??????? Thanks Linda…. and I’ve not even costed the tlc they receive during their life here! So true Margaret, I hate seeing chickens selling for little money. Our chickens cost us €10 each in feed when we did them and ok, some of them were huge. Then you add in the cost if an occasional loss too. Thanks for the comment Lorna, and yes the duck was delicious. I agree with you that our chickens probably cost us in and around €10 in feed too… I must cost it out. Excellent post. I`ve no idea how much it really costs to rear animals. Don’t worry you are not alone! I don’t think the majority of people realise just how much it costs. And thank you for commenting. I have written before about the animal slaughter system (check this out : https://ayearinredwood.com/2012/01/11/a-good-death/) I wouldn’t agree with you that the ‘whole’ industry is unethical but I do agree that if you are rearing animals for the food chain you should be particular about where and how they meet their end. We do follow this principle ourselves, so, I don’t feel guilty about eating our own meat, as I know the animals have had a good life and a good death. If they’re thinking of ducks in Sligo tell them to go for Muscovys… much quieter! Aylsburys are a noisy bunch!